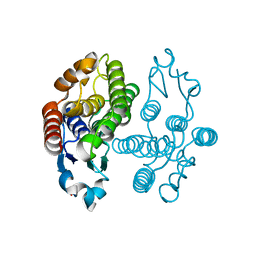 Authors: Kakuta, Y., Pedersen, L.C., Negishi, M.
Cite: Crystal structure of the sulfotransferase domain of human heparan sulfate N-deacetylase/ N-sulfotransferase 1. 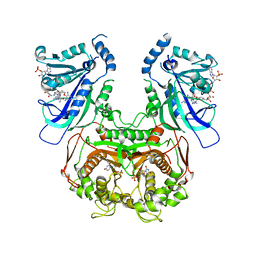 Authors: Kakuta, Y., Horio, T., Takahashi, Y., Fukuyama, K.
Cite: Crystal structure of Escherichia coli Fdx, an adrenodoxin-type ferredoxin involved in the assembly of iron-sulfur clusters. 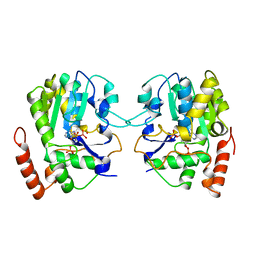 Authors: Kakuta, Y., Okino, N., Kajiwara, H., Ichikawa, M., Takakura, Y., Ito, M., Yamamoto, T.
Authors: Kakuta, Y., Usuda, K., Nakashima, T., Kimura, M., Aso, Y., Yamamoto, K.
Authors: Kakuta, Y., Negishi, M., Pedersen, L.C. 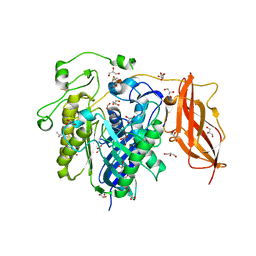 Cite: Crystal structure of estrogen sulphotransferase. 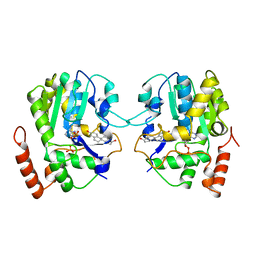 Authors: Kakuta, Y., Pedersen, L.G., Carter, C.W., Negishi, M., Pedersen, L.C. 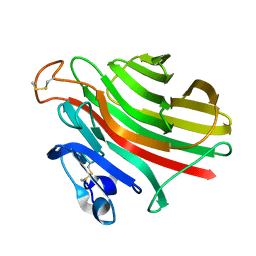 Cite: The sulfuryl transfer mechanism. 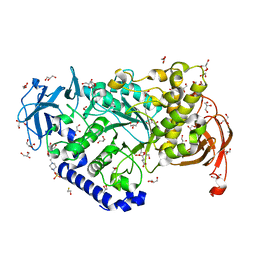 Crystal structure of a vanadate complex of estrogen sulfotransferase and mutational analysis. 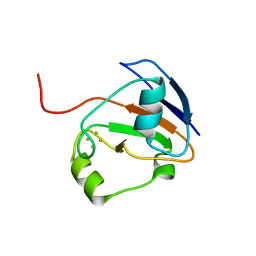 Authors: Kakuta, Y., Tahara, M., Maetani, S., Kimura, M.
Authors: Kakuta, Y., Ishimatsu, I., Numata, T., Kimura, K., Yao, M., Tanaka, I., Kimura, M.
Authors: Kakuta, Y., Sueda, S., Kondo, H.
Authors: Kakuta, Y., Hayashi, Y., Okino, N., Ito, M.
Cite: Klotho-related protein is a novel cytosolic neutral beta-glycosylceramidase. 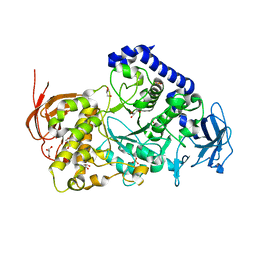 Authors: Kakuta, Y., Okino, N., Ito, M., Yamamoto, T., Takakura, Y. 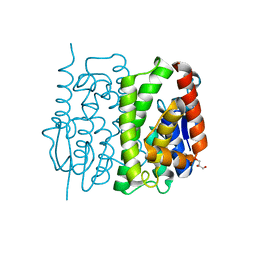 CRYSTAL STRUCTURE OF THE ALGINATE LYASE FROM CORYNEBACTERIUM SP. 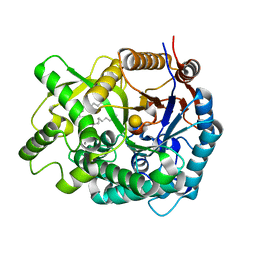 Authors: Kakuta, Y., Okino, N., Inoue, T., Okano, H., Ito, M.
Cite: Mechanistic insights into the hydrolysis and synthesis of ceramide by neutral ceramidase. 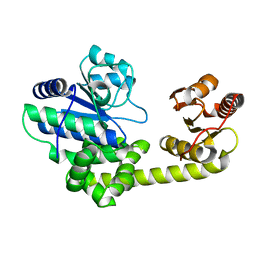 Authors: Kakuta, Y., Usuda, K., Higashiura, A., Suzuki, M., Nakagawa, A., Kimura, M., Yamamoto, K.
Authors: Kakuta, Y., Chaen, K., Noguchi, J., Vu, N., Kimura, M.
Cite: Crystal structure of the branching enzyme I (BEI) from Oryza sativa L with implications for catalysis and substrate binding. 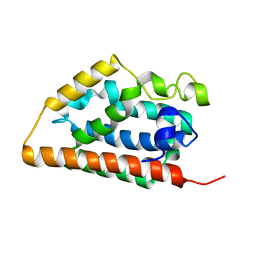 Authors: Sugishima, M., Sakamoto, H., Kakuta, Y., Omata, Y., Hayashi, S., Noguchi, M., Fukuyama, K.
Authors: Kawaguchi, Y., Sugiura, N., Kimata, K., Kimura, M., Kakuta, Y. 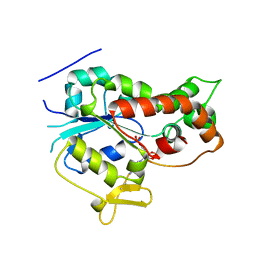 Cite: The crystal structure of exonuclease RecJ bound to Mn2+ ion suggests how its characteristic motifs are involved in exonuclease activity. Authors: Teramoto, T., Fujikawa, Y., Kawaguchi, Y., Kurogi, K., Soejima, M., Adachi, R., Nakanishi, Y., Mishiro-Sato, E., Liu, M.-C., Sakakibara, Y., Suiko, M., Kimura, M., Kakuta, Y. 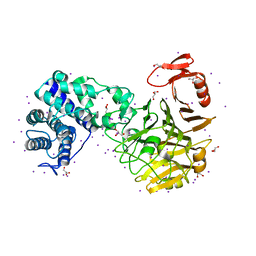 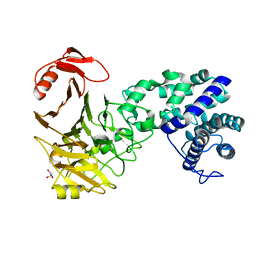 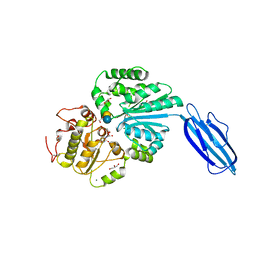 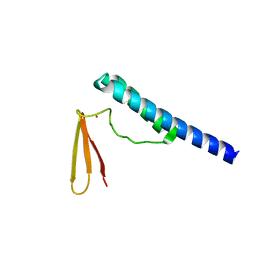 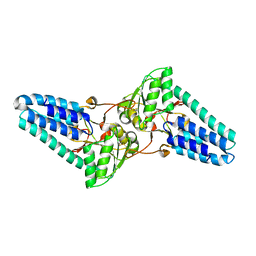 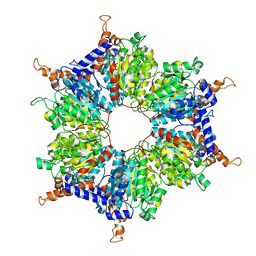 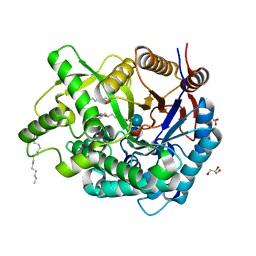 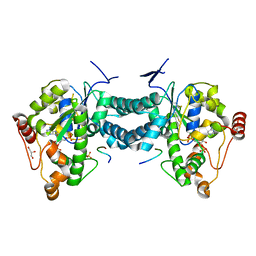 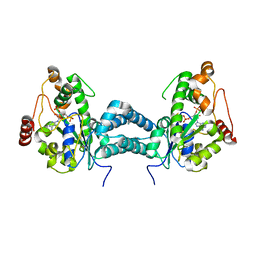 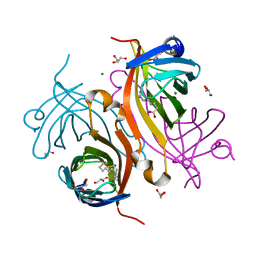 Cite: Crystal structure of human tyrosylprotein sulfotransferase-2 reveals the mechanism of protein tyrosine sulfation reaction.